Unfortunately when you cash out to Paypal or Circle on some GPT sites, including Prolific Academic, there is a fee involved. Prolific used to charge no fee on cashouts over £20 but unfortunately this is no longer the case. No matter how much you cashout now, there will be a charge of 2.9% plus 20p. 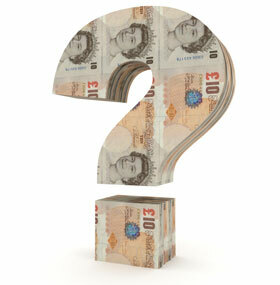 So, let’s say you have £6.52 in your account – how much will you get? 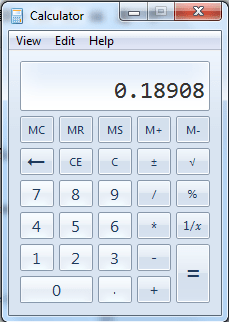 In this example the result is 0.18908 – so round it up the the nearest 2 digits, which gives you 0.19, or 19p. Add on the 20p, which makes your total charge 39p. Which means that on the above amount you would receive £6.13. 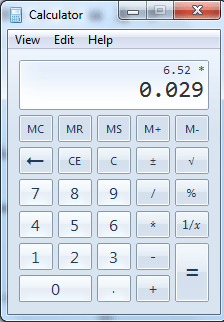 You can do this for any site – for Circle you would multiply by 0.01 and add on 0.10 to get the amount you would receive. 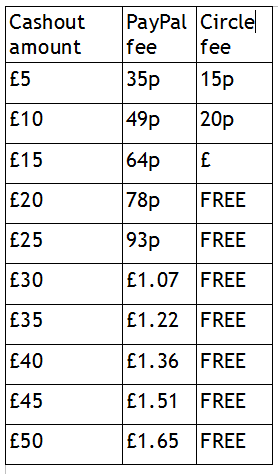 Below is a rough guide to how much you will receive on Paypal or Circle for different amounts. Personally I cash out as soon as I can to Paypal, but you may favour Circle (or cashing out to another option) if the site you are using isn’t Prolific. Don’t have Circle? It’s just as easy as Paypal and you can withdraw straight to your bank account – you can sign up here. Has this helped? Come and let me know in the UK Swagbucks & More Facebook group! « Valentine’s Collector’s Bills – will you get one from one of these links?